Since the launch of the Access Bank short code some months ago, many banking activities have been made available via phone from the comfort of wherever you are. 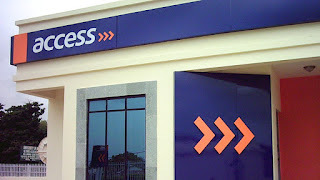 Find out the code for checking Access Bank account balance in this article. To check your Access bank account balance on phone, dial *901*5# then you will be asked to authenticate the request by entering the last 4 digits of your BVN. So, make sure you have your BVN handy as you will be prompted to input the last 4 digits of the BVN before your Access bank account balance will be generated for you. Unlike GTBank that charges 10 Naira when you request for your account balance via short code, the request is free of charge on Access bank. Pls take note, you can only dial the code on your mobile line that is registered with the bank. If you have misplaced that line, i suggest you walk into any Access bank branch close to you to update your profile with your new line so you can start enjoying all that Access Bank mobile banking services has got to offer.